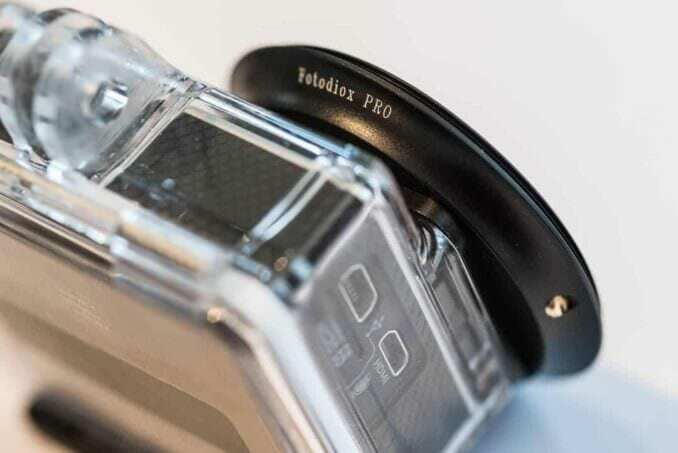 Review of Fotodiox Pro WonderPana Go H3+ Standard Kit for installing a polarizer filter or neutral density filter to the GoPro HERO3+, HERO4 Silver, and HERO4 Black. The image quality and video quality of cameras like the GoPro HERO3+, HERO4 Silver, and HERO4 Black is remarkably good in a wide range of conditions right out of the box. It's a huge improvement over previous generations of GoPros. But there might be times you want to tweak the shooting by using filters. And probably the two most useful filters--at least, above water--are a polarizing filter and a neutral density filter. Both reduce the amount of light hitting the sensor, but they do it in different ways and with different uses. I've previously written about how to attach a polarizer filter or underwater red filter to a GoPro HERO3. Because of the different lens port on the HERO3+ Black and HERO4 Silver and Black, you have to do things a bit differently. 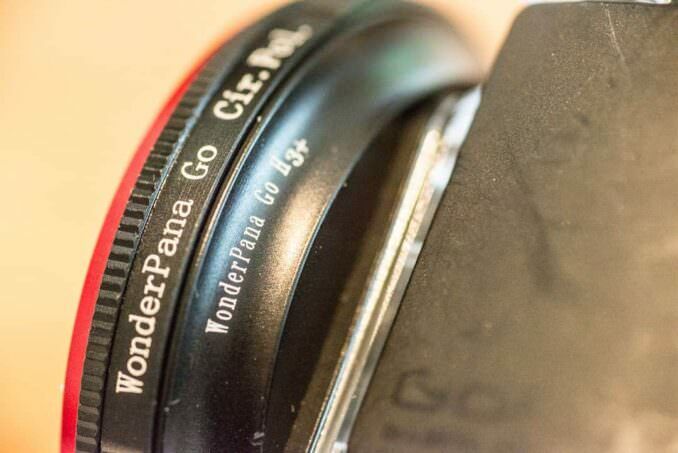 The Fotodiox Pro WonderPana Go H3+ Standard Kit is designed to add regular 52mm screw mount lens filters to a camera housing that isn't built to take filters. There are two versions of this kit available. The difference between them is in the lens mount adapter to accommodate the different shapes of the lens portals on the housings. One is for the HERO3 housing (check price and availability on Amazon). The one I'm focusing on here is the version that fits the slimline housing. The kit was originally released for the HERO3+ Black, but the HERO4 Silver and HERO4 Black models use the same shaped lens port on the housing, so these filters work well on those newer models too. Lens Mount Adapter. This slides onto the outside of the lens portal of the waterproof housing and is locked in place with a single small screw that locks with pressure. Circular Polarizer filter. More detail on using this is below. ND8 Neutral Density filter. This dark filter cuts the amount of light reaching the sensor by three stops. 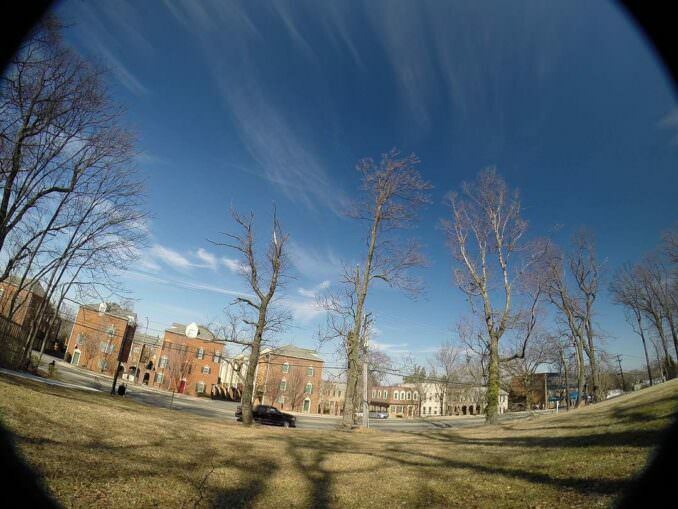 On a DSLR, there are several potential uses for a neutral density filter, but with the GoPro, there are two main ones. The first is that if you happen to be shooting in ultra-bright light, this will bring the levels back to help prevent highlights from blowing out. The second is that it can force the GoPro to use a slower shutter speed. Since you don't have manual control over the shutter speed, this isn't as flexible as on a DSLR where you can drag the shutter, but ideally, you could use it to smooth out time-lapse footage. UV Filter. This is an optically clear filter designed to cut down UV light. The two most common uses for a UV filter on a DSLR are for cutting through the haze in landscapes and to protect the lens. Neither is especially relevant to how I use a GoPro, so this isn't a filter I anticipate using. The lens mount adapter is machined metal and is shaped specifically for the housing that comes with the HERO3+ Black, HERO4 Silver, and HERO4 Black models. It slides over the barrel of the lens portal on the waterproof housing. It's a tight fit--very tight. If you don't get it all the way on you'll end up with bad lens vignetting (ie. black area in the corners of the frame). The snugness is by design, but I found it hard to get all the way on and even harder to get it off again. Once you have it on, there's a small screw that locks on by using pressure. A small screwdriver is provided in the kit for this, but any flat-bladed jewelers screwdriver will work. I found that the fit was tight without using the locking screw, but it makes the attachment more secure. Once you have the adapter mounted, the filters screw onto it using a regular filter thread. The adapter is small enough that you can leave the adapter on full-time. It blocks the front LCD a little, but not much. And it makes it a little harder to get a grip on the top locking clasp of the case when it's in the locked position. A polarizer filter helps reduce glare. They can deepen the blues of a blue sky, intensify the color of water, and add detail to snow, sand, or ice. I have more on polarizer filters here. The polarizer that comes in this kit is a circular polarizer. In terms of image quality, that's a good thing. A circular polarizer is better than a static single film polarizer that many other GoPro filters are because you have control over the angle of the polarizing effect in relation to the light. To get the polarizing effect, you rotate the outer layer against the inner layer. Without any filter. 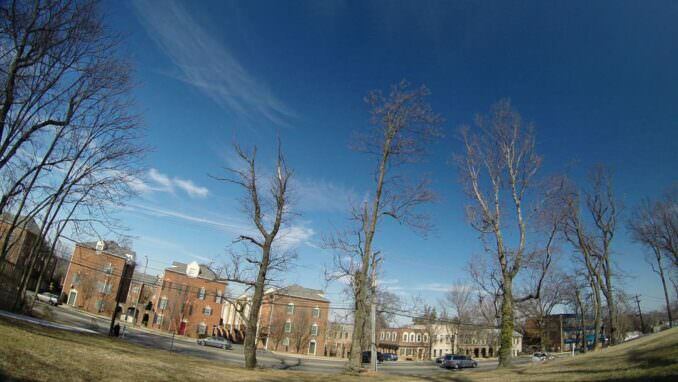 It has the distinctive blue/cool white balance favored by GoPro. This has the polarizer filter rotated to full effect. Notice that not is the sky a deeper blue, but the colors on the ground are richer and warmer. 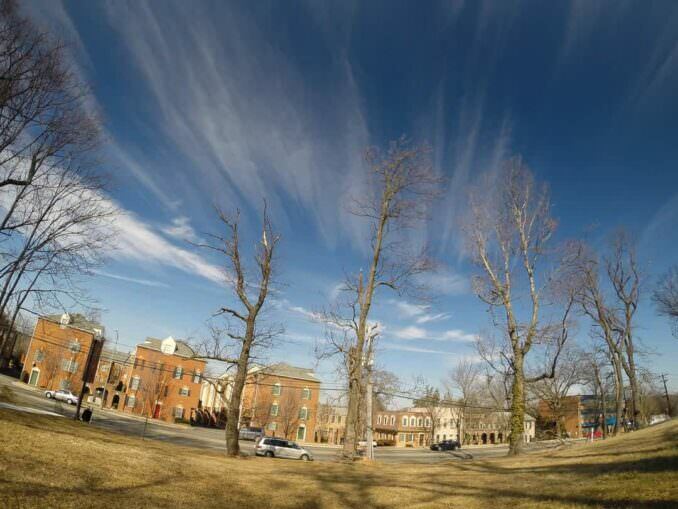 This is with the circular polarizer rotated to minimum effect. While similar to the shot without any filter, it has a noticeably warmer white balance. 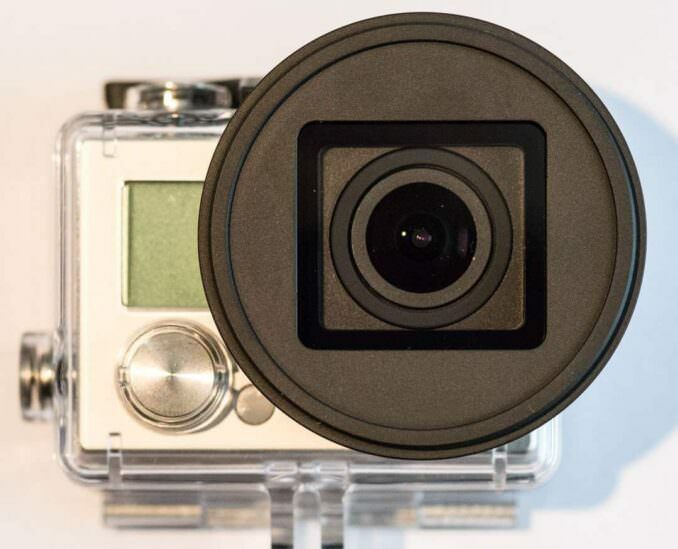 In practice, there's a catch in using a circular polarizer on some of these models of GoPro. To use the filter properly you need to see the effect of the rotation in real time through the lens. Without that real-time view, you're just guessing. The view can be either with a through-the-lens viewfinder or a built-in through-the-lens display. But of these cameras, only the HERO4 Silver has the display built-in. Add an LCD display to the back of the camera, the GoPro LCD Touch BacPac. There are two problems with this. Firstly, in bright sunlight--which is precisely when you're likely to be using the polarizer--you'll find it hard to see the detail on the LCD. The second problem is that the GoPro LCD Touch BacPac is not currently supported with the waterproof slimline housing that comes with the HERO3+ camera, although the display itself does work with the camera. There's more info on that here. You can use an external display either wired or through the GoPro WiFi app on your smartphone. I found the GoPro app to be the most convenient, although it does mean having the WiFi on, which I try to avoid when possible to maximize battery life. If you have time and a good work area, you can use trial and error by taking photos or recording video and then viewing the results. 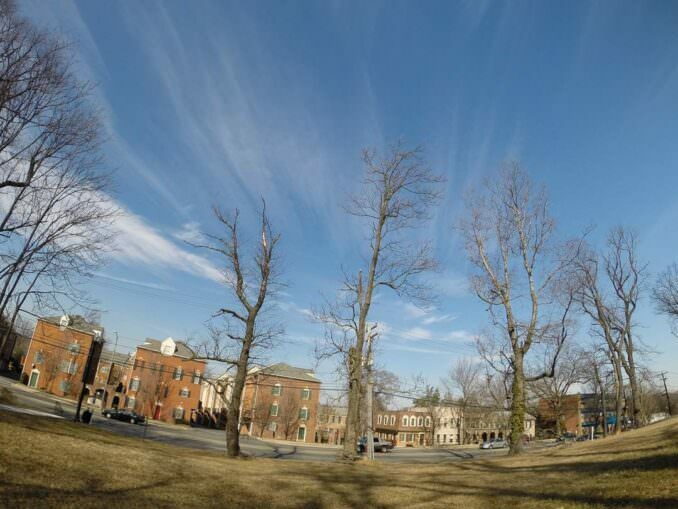 In still photos, that affects shots taken with the Wide FOV setting. It also affects video shot in 1440, 1080 Super, and 720 Super modes. I do have a few quibbles with this setup. For one, because the filters stay outside the waterproof housing, they don't affect the waterproofness of the camera housing itself. But also because they stay on the outside of the waterproof housing, they are not themselves waterproof. They seal reasonably well using the screw thread, and spray or light rain shouldn't present much of a problem, but it's not a perfect seal and water, and dust can find its way in. The circular polarizer is especially vulnerable because it has an extra rotating layer that water can get in between. The method used for mounting these filters isn't suitable for adding a red filter for underwater photography. For another, the filter case adds bulk. We're not talking a lot, but since the small size is precisely part of the appeal of the GoPros, it's not irrelevant. The filter kit case is larger than the camera in its housing. I was originally most interested in adding a polarizer filter and neutral density filter to the GoPro HERO3+. For both, the optical quality is much better than other options I've tried with gels placed inside the housing on the HERO3. It's also much more convenient than the internal methods. The main negative for me is the lens vignetting using the circular polarizer in some shooting modes. It's not a dealbreaker, but it is a bit of a pain and something to watch out for. 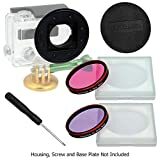 Overall, while the Fotodiox Pro WonderPana Go H3+ Standard Kit isn't perfect, but it is an effective way of adding polarizer or neutral density filter to a GoPro HERO3, HERO3+ Black, HERO4 Silver, or HERO4 Black where the optical quality of the filters is a step up from some of the other offerings out there. 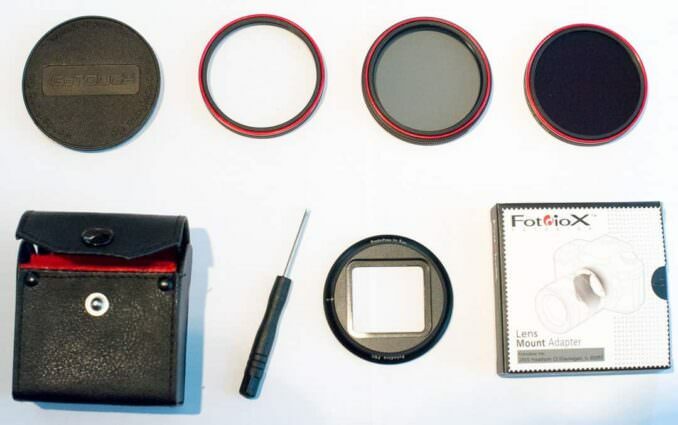 You can find the Fotodiox Pro WonderPana filter kits at B&H Photo and Amazon. There's also an underwater kit that compensates for the lack of red and orange light as you dive underwater (also at B&H Photo). 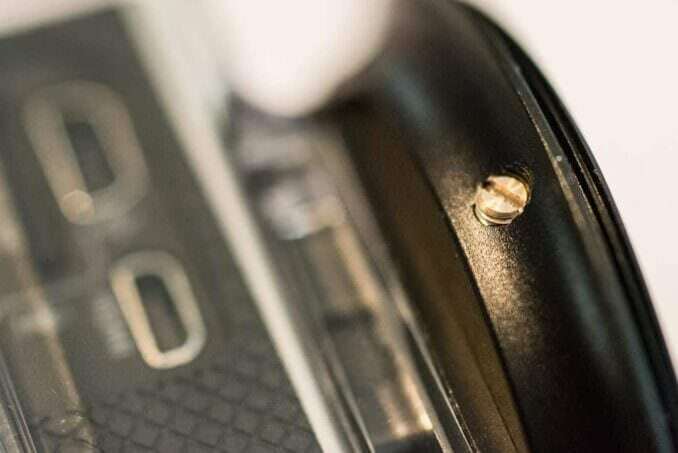 All-metal adapter screws on for a solid mount, your case remains water tight! Would a step-up ring to allow the use of a larger diameter filter help with the vignetting? In theory but I haven't tried it. 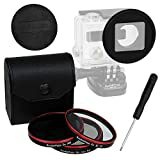 Is there a lens kit that works with the gopro naked and the waterproof case or is it either one or the other? Most of them rely on the housing to hold the filter in place, and they tend to be the strongest and most reliable fit. But there are adapters to attach without the housing. I haven't tried them, but there seem do be mixed reports about how well they fit and lock in place. [easyazon_link identifier="B00HZF72KO" locale="US" tag="05060702-20"]Here's an example[/easyazon_link]. Would you recommend a polarizer filter or neutral density filter to use with the GoPro HERO4 Silver in Tenerife? A polarizer is usually more useful for beach/sea scenes because it cuts through the glare and makes the colors richer. 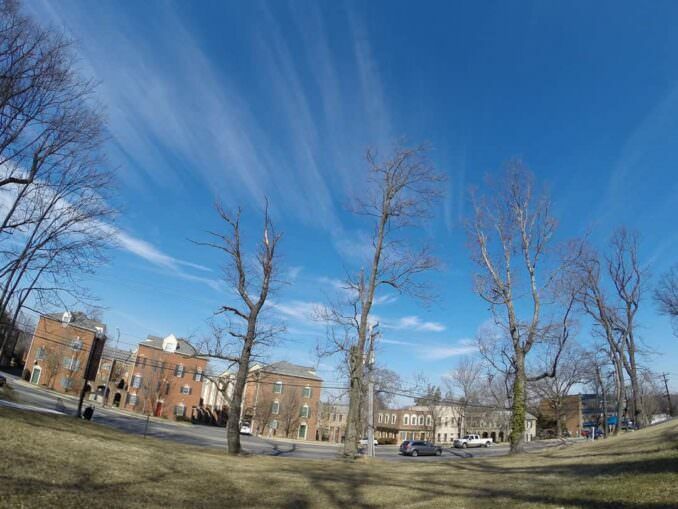 A neutral density filter just drops the amount of light. The good ones should be neutral across the spectrum with minimal effect on the colors etc. Great stuff...has anyone tried this with close up lens/dipoters?